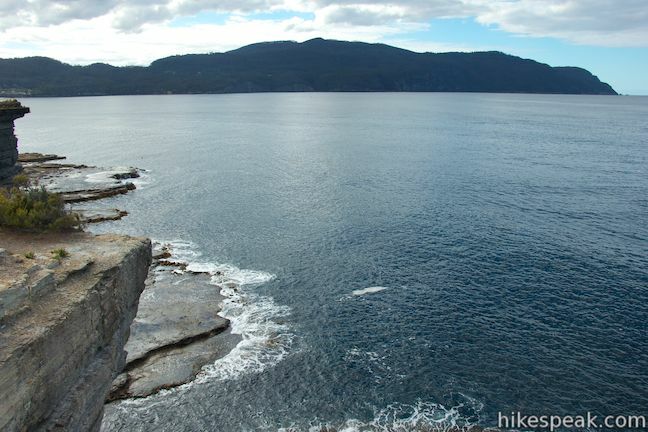 The Tasman Peninsula extends into the Tasman Sea in the southeast corner of Tasmania. While the peninsula was once used as a penitentiary, a visit to the peninsula’s impressive coastline today will feel like anything but prison. 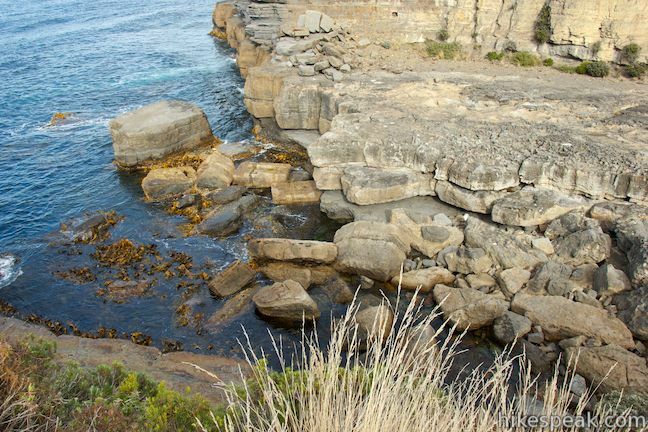 Just south of the narrow isthmus at Eaglehawk Neck, the east coast of the peninsula has several easy-to-reach wonders, including the Blowhole and Fossil Bay Lookout (as well as nearby Tasmans Arch and Devils Kitchen). 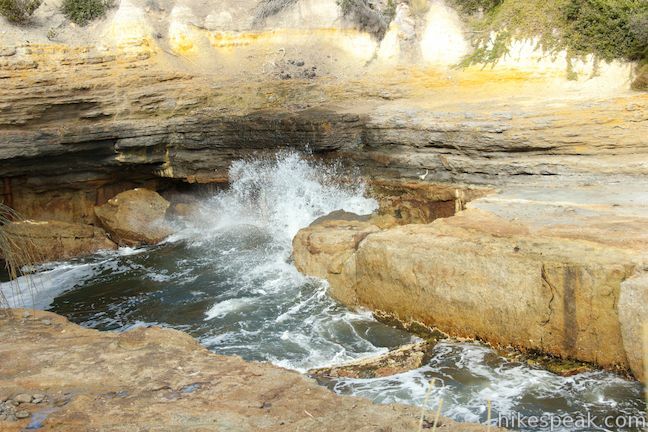 Start with a short walk to the Blowhole, where waves passing through a tunnel in a rocky point and can spray up like whale spouts in the right conditions. 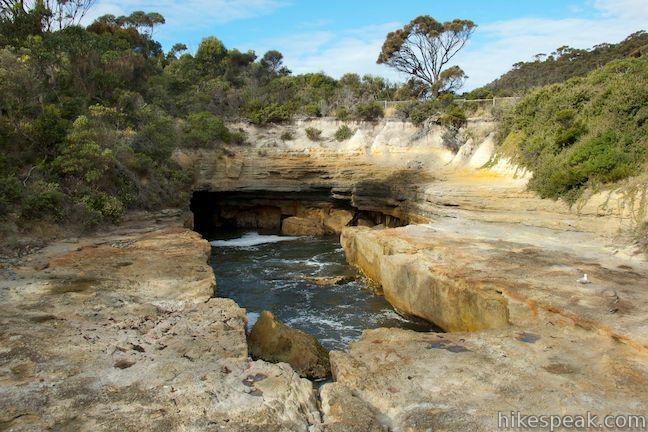 Above the Blowhole, walk out on the point to Fossil Bay Lookout and enjoy views up and down the dramatic coastline. The quick and easy walk to both of these attractions is less then half a kilometer (0.3 miles) long. 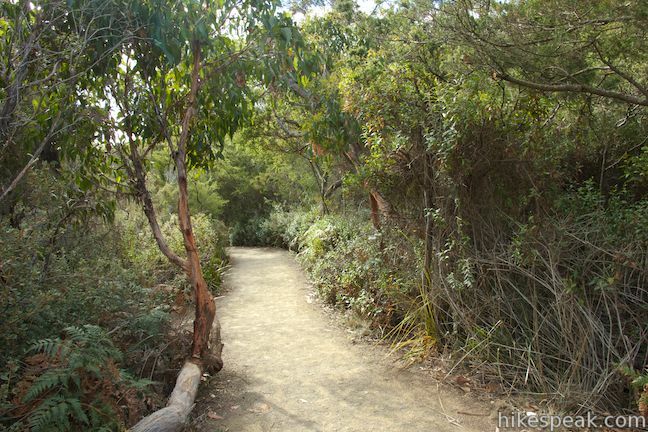 A track from the car park at the end of Blowhole Road quickly separates toward the two destinations. 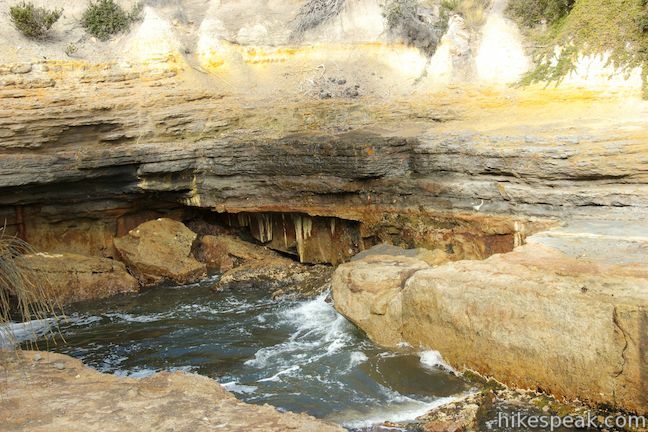 To the left, a path descends to a viewing area alongside the Blowhole. 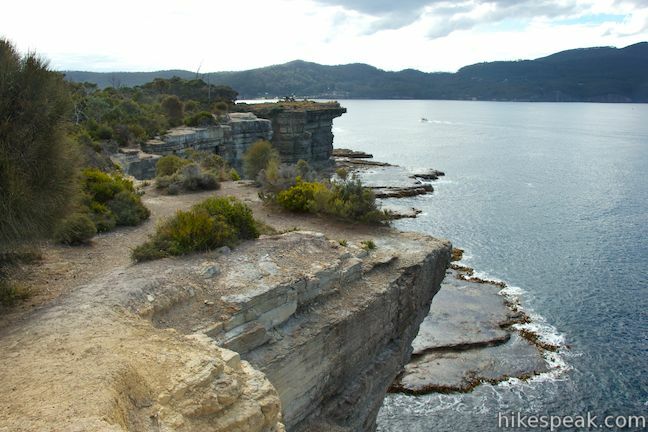 The track to the right ventures out to Fossil Bay Lookout. 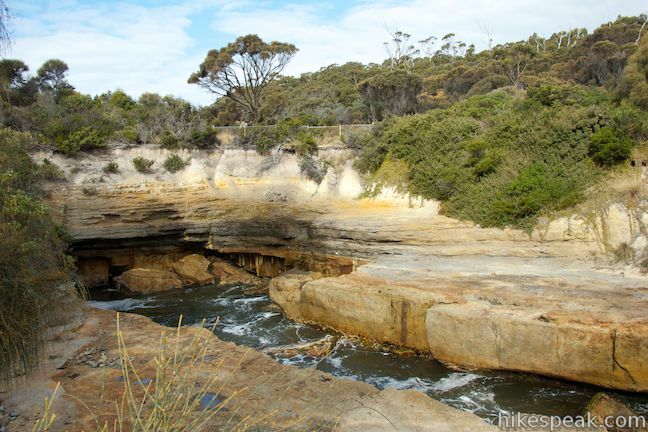 Take the track to the left and as you go you can look down over the Blowhole, where there is a viewing area alongside a jagged pool of water framed by orange and gray siltstone. 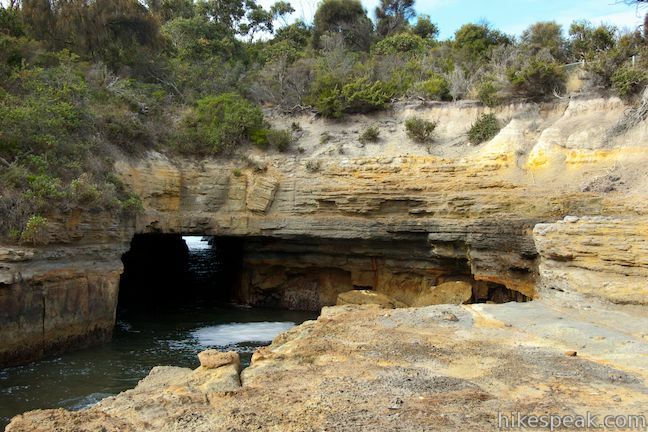 You’ll quickly reach this viewing area and get a view into the tunnel carved through the cliffs. Waves roll through this dark passage and splash against the walls. The Blowhole really erupts when there are big swells. 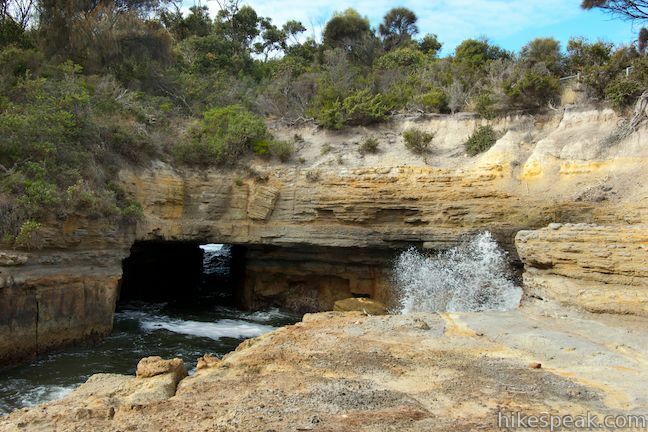 Even when the sea is calm, it is cool to watch waves roll in through the tunnel and splash up over the sides of the rocks. 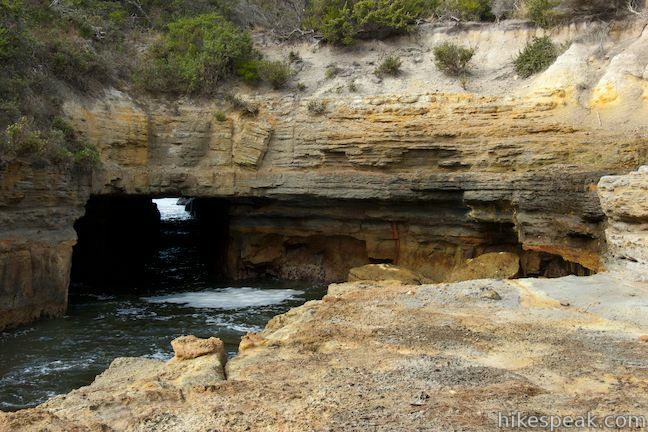 The roof at the rear of the tunnel collapsed to create a broad arch with a blowhole behind it. 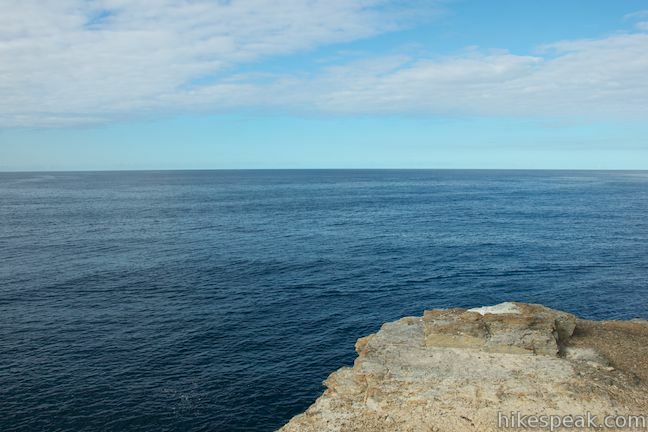 The Blowhole point was originally an unbroken line of cliffs of siltstone. 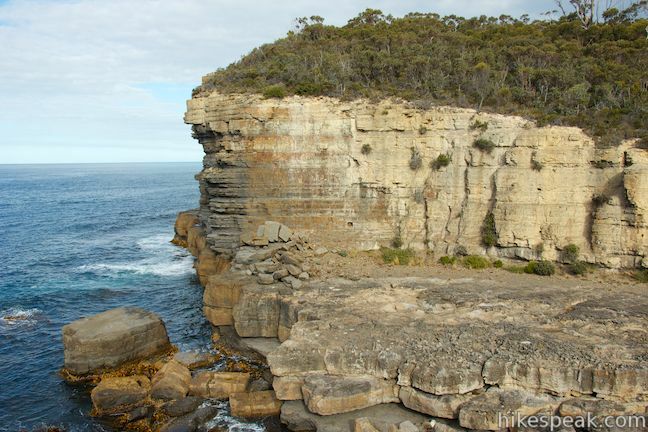 This flat-lying rock was formed like a giant layer-cake when mud and silt were deposited on the sea floor about 270 million years ago and compacted under the load of later sediment. 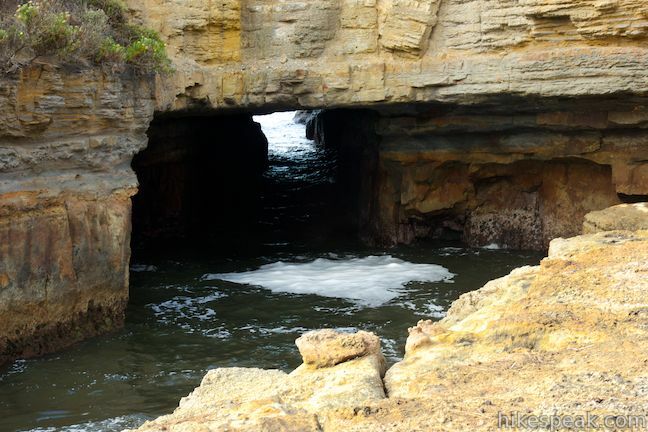 Each movement cracked the rock, creating vertical joints that enabled the sea to cut caves and tunnels into the cliffs. The Blowhole only lives up to its name when the seas are rough and in the right direction. 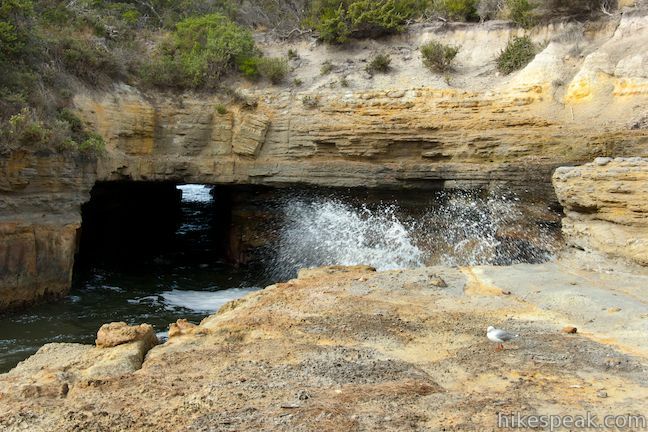 Swells enter the tunnel and sea-spray an air are blasted through the tunnel, creating an explosive effect in the small joints at the back of the inlet. 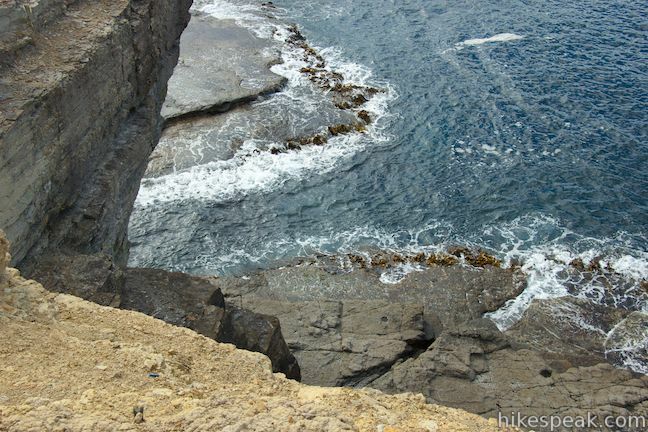 Over the centuries, waves broke down cracks in the sea cliffs, causing rock slabs to break off and a sea cave to be formed. 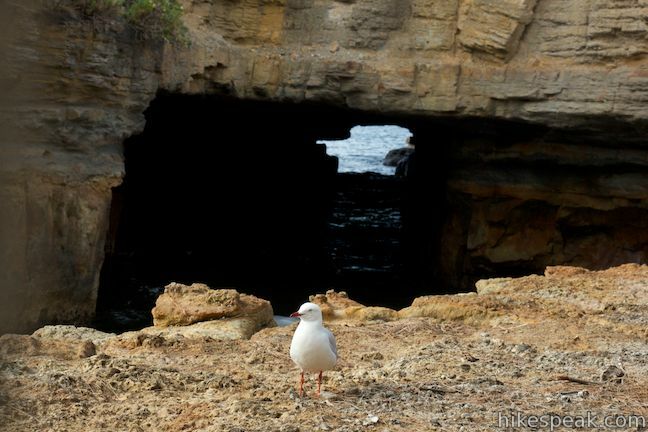 The cave grew deeper, becoming the tunnel for the Blowhole. 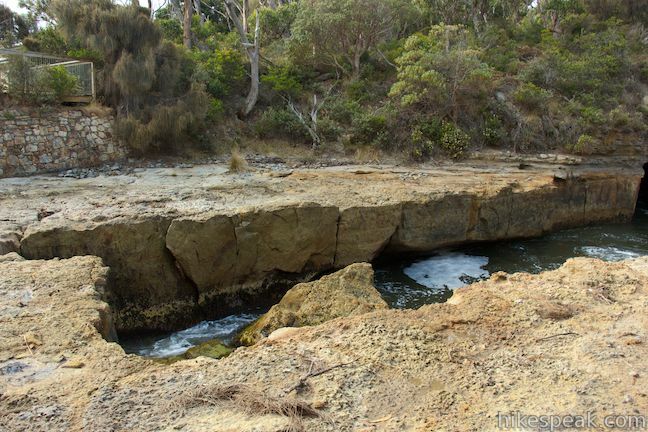 In the distant future, the land bridge over the tunnel will collapse and the Blowhole will be replaced with a gully, resembling the trenches to the north and south. 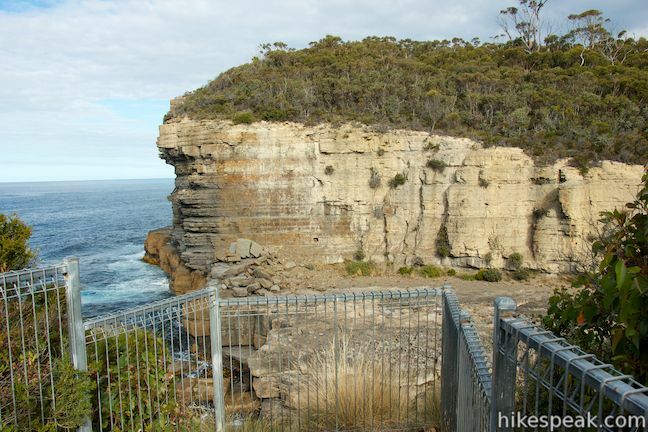 You’ll get a good look over the gully just to the south on the walk to Fossil Bay Lookout. Toilets are located below the Blowhole where you can wash your hands with non-potable water sourced from the Blowhole itself. Past that, there is a fishing jetty at the southern end of Pirates Bay. So you’ve been blown away by the Blowhole and want to know what’s next? 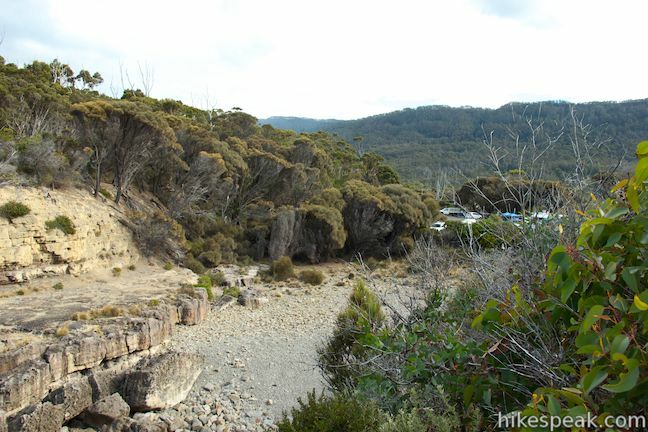 Walk back toward the car park and continue out on the track to Fossil Bay Lookout. A short way up this wide dirt trail, you will come to a fenced off overlook on the right. 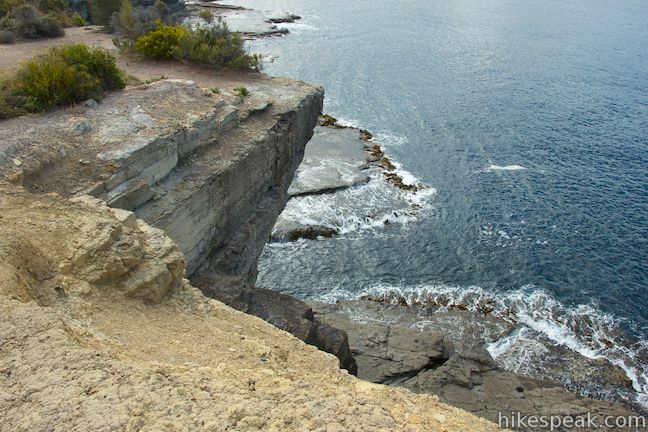 From here you can look down on a gully carved into the cliffs just to the south. 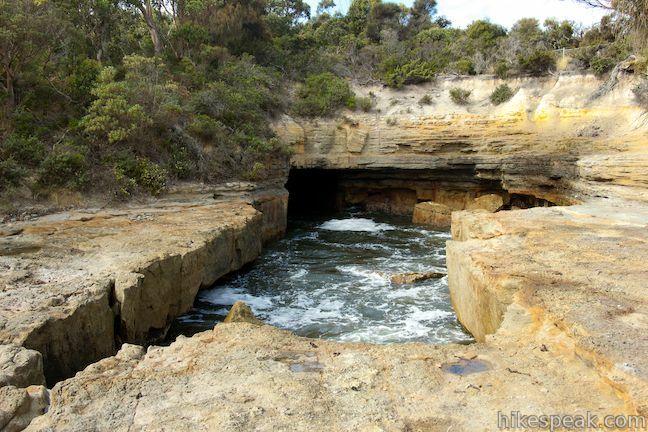 This gash in the landscape started as a sea cave that collapsed to create a trench that extends all the way back to the car park. 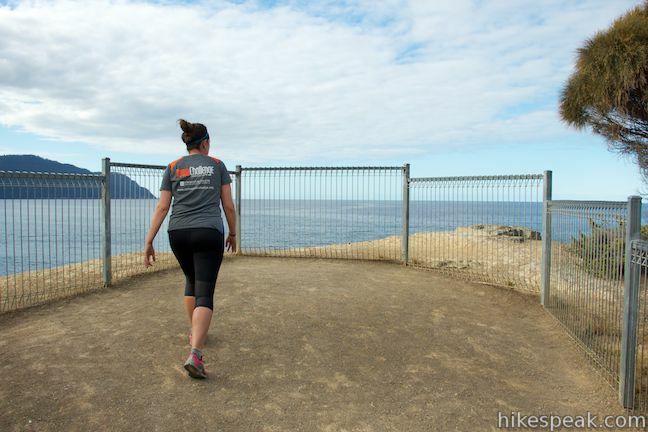 Continue a bit farther up the trail to the lookout at the end of the point. From this slightly higher vantage, you can see a little farther down the coast to the south and a lot farther up the coast to the north. 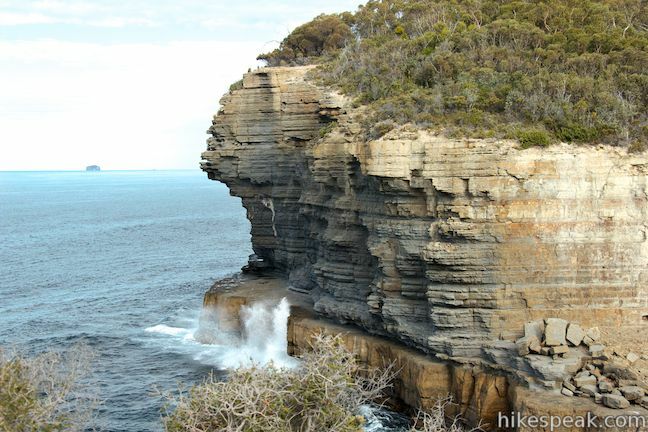 Steep cliffs surrounding the overlook drop to rocky platforms at sea level that get washed over by waves. 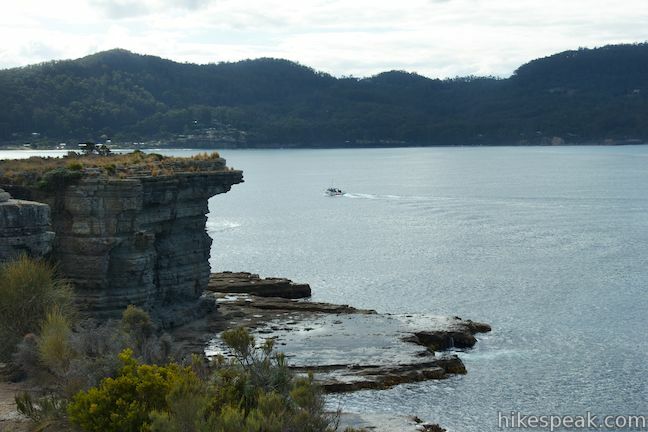 To the north, you can look across Pirate’s Bay to Forestier Peninsula, which connects the Tasman Peninsula with the Tasmanian mainland. 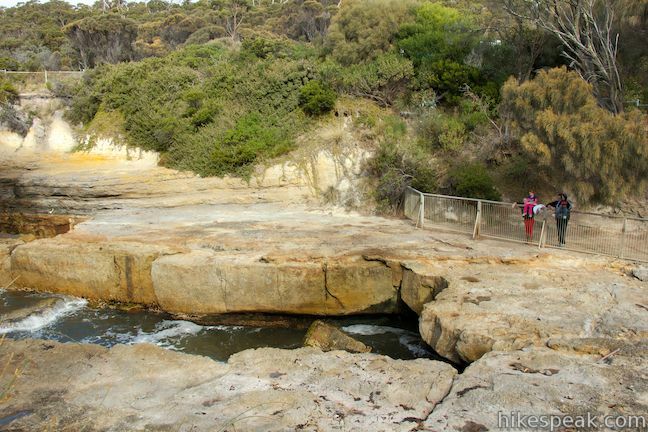 Once you’ve taken in the view from Fossil Bay Lookout, it is just a short walk back to the car park, where there is a food truck offering eats like ice cream and fish and chips. On your drive to the car park, you will pass through the town of Doo, where there are several signs containing puns about the area’s name. Doo read them all. 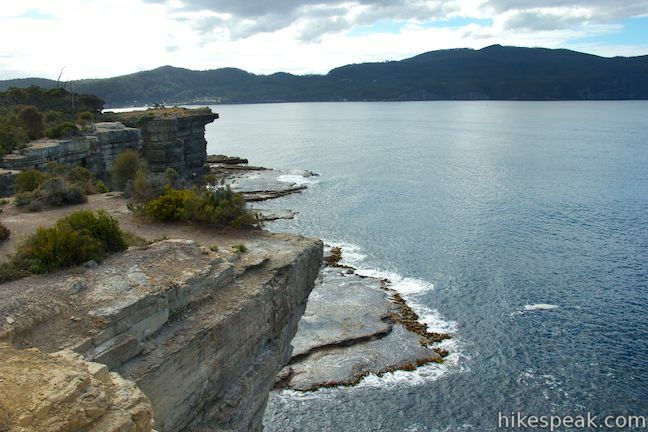 A National Parks Pass is required to visit Tasman National Park. A single day pass will cost $24 or you may purchase an 8-week pass good for all of Tasmania’s National Parks for $60 (all prices in Australian Dollars as of 2017). Dogs and bikes are prohibited on this short walk. 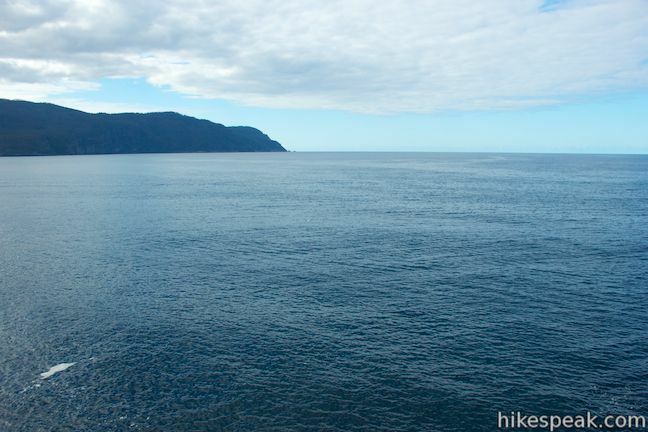 Directions: Take Tasman Highway (A3), 25 kilometers east of Hobart to the town of Sorell. You will come to an intersection in the center of town where A3 makes a 90-degree turn. Take the road leaving A3 at this intersection, which is Coles Street/Arthur Highway (A9). This will be a right turn if you are coming from Hobart. 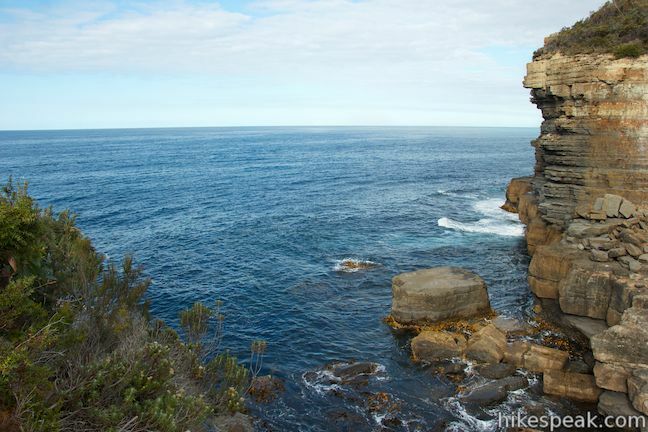 Drive 51 kilometers on A9 to Blowhole Road, which is just past the isthmus at Eaglehawk Neck. Turn right onto Blowhole Road (C338) and drive 3.5 kilometers to the car park at road’s end, passing through Doo Town. 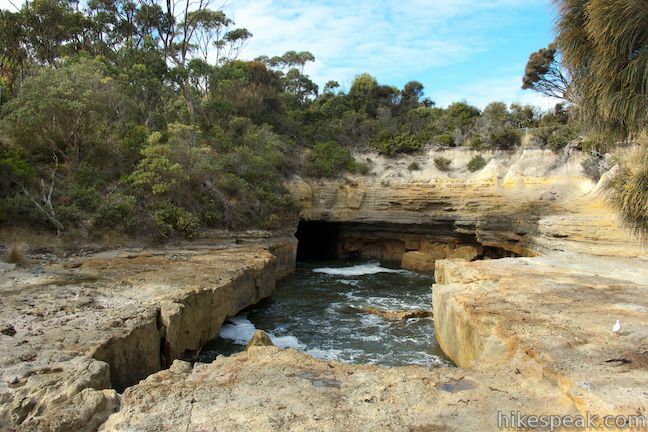 This shaded campground is bordered by sandy beaches in a cove on a remote thumb of the Tasman Peninsula.